How do you throw a keto Thanksgiving? While most traditional staples like mac and cheese, sweet potato pie with marshmallows, and your grandmother’s green bean casserole are off the table, you can still enjoy the flavors of this holiday on a ketogenic diet. You just need the right Thanksgiving recipes. These low carb dishes will not only please all palates and help you reach your weight loss goals, they may even give you more energy to make memories after you eat instead of causing everyone to crash. And there’s no food that says you’re ready to start the party better than appetizers. Appetizers are meant for guests to snack on while everyone arrives, the turkey continues to cook, and cocktails begin to circulate. Every keto Thanksgiving needs a cheese board or charcuterie platter. Chock full of delicious keto friendly foods like deli meat, cheese, nuts, and more, you can whip one up in less than 15 minutes. And there’s usually zero cooking required if you fill your board with grab-and-go goodies. Abbie over at Appetite for Energy will help you create the perfect combo of salty meat, creamy and hard cheeses, and the best keto nuts in her guide to the ultimate low carb antipasto platter. You can even add homemade marinated mozzarella to your cheeseboard. You don’t have to spring for the pricey mozzarella marinated in garlic and spices to add flair to your charcuterie board. Save the cash, not to mention control every ingredient, when you make your own marinated mozzarella. Nicole at Oh My Keto uses olive oil, garlic, parsley, oregano, red pepper, and balsamic vinegar to marinate her mozzarella. It’s quick, delicious, and makes a big impression. Another recipe to add to your antipasto platter worth the effort? Toasting your own pecans brings out their sweetness and you don’t have to buy a bag of pre-roasted nuts in unhealthy hydrogenated oils to get it. Season with freshly cracked black pepper and sea salt or pink Himalayan salt — that’s it. You’ll also want to have a few low carb crackers on deck for that cheese board. And this next recipe will add a burst of herby flavor to yours. Crackers are one of the best parts about a cheese platter — even if you’re on a keto diet. 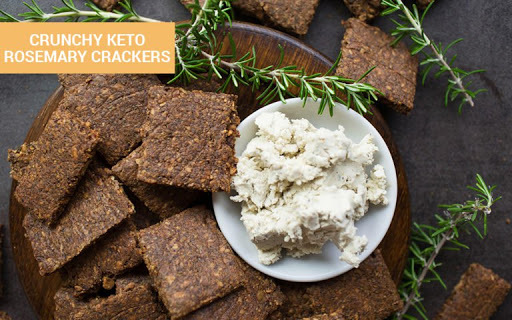 Give yourself and your guests that crunchy vs creamy combo with these flavorful keto rosemary crackers. To get that crunch, you’ll use pumpkin seeds, almonds, and pecans. Mix with flax meal and spices to form your cracker dough. Then roll it out, slice into crackers, and bake them off until crispy and delightful. These crackers are packed with nutrients, fiber, and healthy fats, and they’re also low in carbs so you can stay in ketosis. It’s not everyday you find a fat bomb on an appetizer platter, but these baked brie and pecan fat bombs wrapped in prosciutto are the exception. The Nourished Caveman says these savory fat bombs pack 16g of healthy fats and almost 9g of protein — for less than 1g of net carbs each. Noshing on one of these early may help you eat less throughout the day so you can still achieve weight loss despite your holiday feasting. You can also put together a keto veggie dip if you want to bring a cold appetizer to your Thanksgiving meal. Perfect for potlucks, this veggie dip recipe from Oh My Keto is so quick and simple your kids can help out and make it on their own while you’re busy working on the turkey. With mayo, sour cream, dill, parsley, and Beau Monde seasoning, this veggie dip goes well with pork rinds, keto crackers, and raw low carb veggies like cucumber, broccoli, radishes, and celery. This next classic get-together favorite can also be modified for keto living. 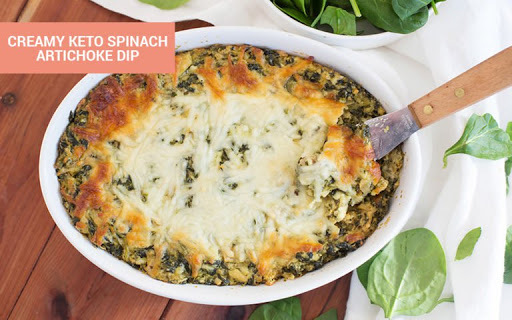 Everyone loves a killer spinach artichoke dip, but not every recipe is keto friendly. This spinach artichoke dip only requires a handful of ingredients (many of which you probably already have) and not much effort. Just toss everything together in a bowl and mix well. Then pour into a baking dish, top with cheese, and bake. Rather than pairing this dip with carby tortillas, crackers, or chips, choose a neutral keto cracker like this next recipe. 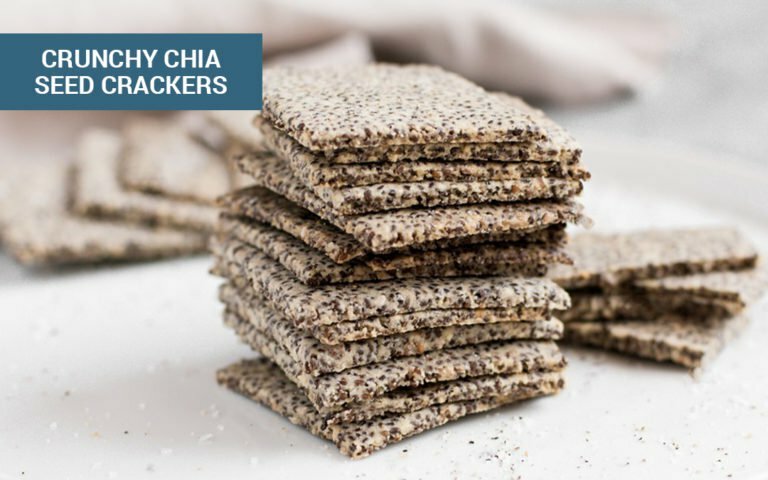 All you need for the dough of these chia seed crackers is almond flour, chia seeds, egg, salt, and freshly cracked black pepper. Roll out the dough, slice, bake, and cool and you’ll have perfectly seasoned crackers for all your Thanksgiving dips. Take two party staples — jalapeno poppers and deviled eggs — and combine them to make this jalapeno popper deviled eggs with bacon recipe to snag best appetizer award at your Thanksgiving gathering. 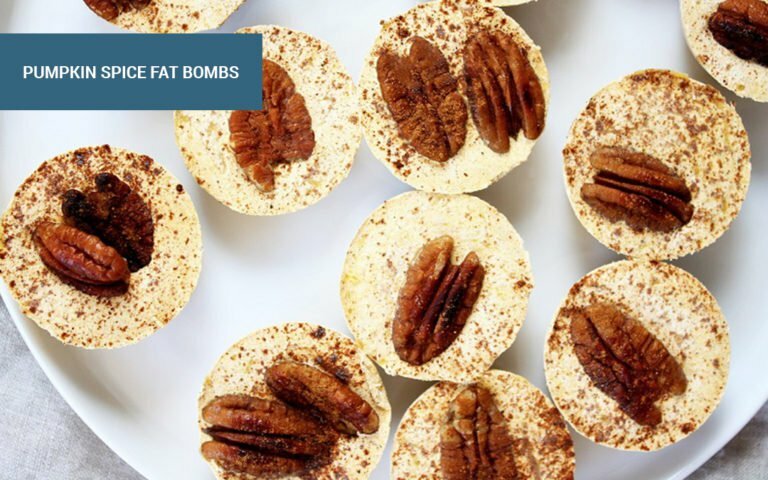 Kyndra over at Peace, Love, and Low Carb created this unforgettable low carb blend of spicy, creamy, and smoky and you and your guests will love it. Bacon’s also a highlight in this final appetizer. 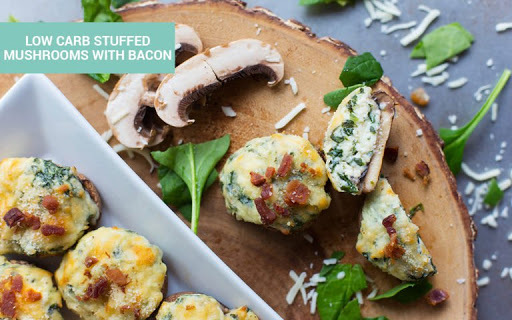 Popable, cheesy, and flavorful, this recipe for low carb stuffed mushrooms is also a cinch to prepare. Just cook off bacon, then add it to a bowl with spinach, garlic, cream cheese, egg, mozzarella, and coconut flour. Mix this stuffing up, add it to baby bella mushroom caps, and bake. Each serving delivers 6g of fat and 6g of protein for just 1g of net carbs. So you can have more than one and not feel guilty. Up next is an unexpected surprise for your keto Thanksgiving. You can probably make a loaf of this keto almond bread right now since it only requires four keto pantry staples: butter, coconut oil, eggs, and almond flour. Just combine together in a loaf pan and bake for less than an hour to have fresh bread on your Thanksgiving table without the carbs. 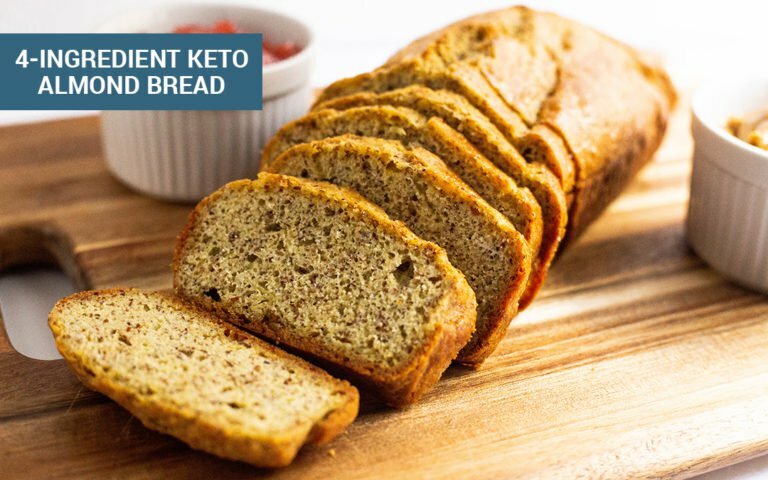 Or try this recipe for keto bread made from simple ingredients if you like poppy seeds. If cornbread is more your family’s style, this next recipe will guarantee happy bellies. You don’t need actual sweet corn to make this keto “cornbread” recipe from Megan Seelinger, aka the Mermaid with Muscles, that looks and tastes like the real thing without the carb crash. Using almond flour, shredded cheddar, jalapenos, eggs, butter, and sour cream, you can bake up 12 servings of cornbread and each is only 4g of net carbs. 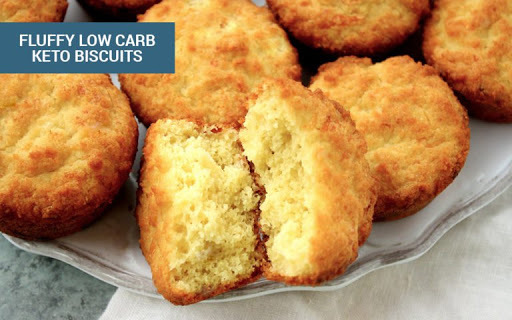 Another holiday staple you can surprisingly enjoy in ketosis is biscuits. The secret to making fluffy keto biscuits just as tasty as traditional biscuits all comes down to the swaps you make. Unlike regular biscuits, this keto biscuit recipe uses a combination of almond flour, eggs, baking powder, heavy whipping cream, and mozzarella cheese. On top of slashing the carbs, using an alternative flour like almond or coconut also makes these biscuits gluten-free. Then the combination of whipping cream and eggs keeps these biscuits light, which helps counteract the density of almond flour and makes them more reminiscent of fluffy biscuits from your non-keto days. Think the mozzarella cheese is the weirdest part? Commonly used in fathead pizza crusts and other low carb recipes like these keto cinnamon rolls, mozzarella gives the whole mixture a dough-like texture and you’ll hardly taste it. Or skip the biscuits and make these keto rolls. Keto cheese and bacon rolls are what’s cooking over at My Keto Kitchen — and they’re perfect for staying in ketosis because they have zero net carbs. All you need is bacon, cream cheese, cheddar cheese, mozzarella, eggs, and psyllium husk (which you can find on Amazon if it’s not at your local grocery store). They’re easy to make and you’ll know they’re done when they turn golden and puff up. Plus, you can make these keto rolls ahead of time and reheat in the toaster oven when your guests arrive. The final keto bread recipe in this roundup also uses a mozzarella cheese dough base. 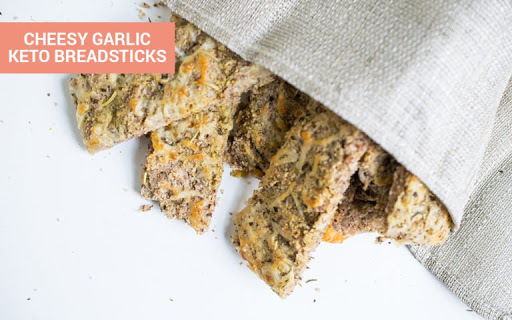 The main ingredients in these cheesy garlic keto breadsticks include almond meal, coconut flour, shredded mozzarella cheese, eggs, coconut oil (or grass-fed butter), olive oil, and your favorite spices. Though you’ll want to, try not to eat all of them as two breadsticks will set you back 5g of net carbs. Up next you’ll find Thanksgiving dishes you can make in one pan for easy cooking, travel, and cleanup. Casseroles are a smart idea if you’re visiting for a Thanksgiving meal and want to bring something easy to prepare and travel with. They’re also great if you’re prepping your meal ahead of time. You can set up or even bake one off the night before and simply reheat before everyone arrives. No, you won’t find any cream of mushroom soup or fried onions in this green bean casserole recipe, but you will find all the same flavors. It will even look similar so you’ll fool more than a few guests. That’s because Kyndra at Peace, Love, and Low Carb shows you how to make crispy “fried” onions by breading onions and shallots in almond flour and seasoning, then frying them in avocado oil in small batches. Combine green beans and your sauce made of grass fed butter, garlic, heavy cream, parmesan, and chicken stock in a casserole dish. Top with your homemade fried onions and bake. Each serving is 8g of net carbs so you’ll need to be careful despite how delicious it is. But this next casserole will only cost you three net carbs per serving. 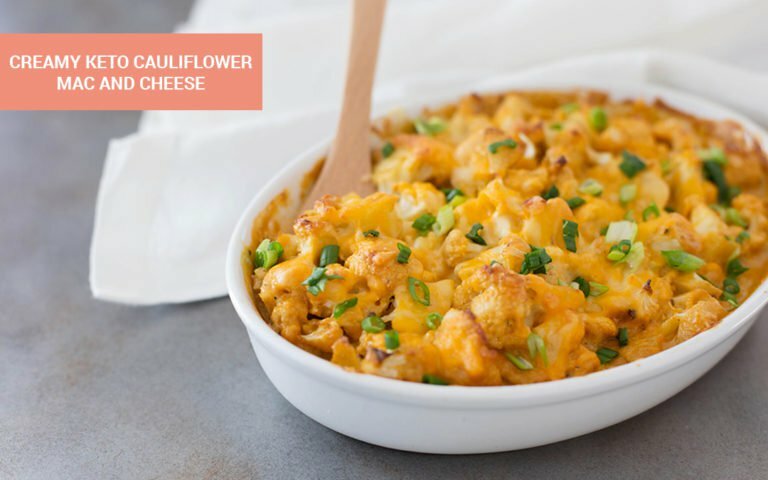 Keto Cooking Christian found a way to satisfy cravings for loaded baked potatoes with this quick and easy loaded cauliflower casserole. 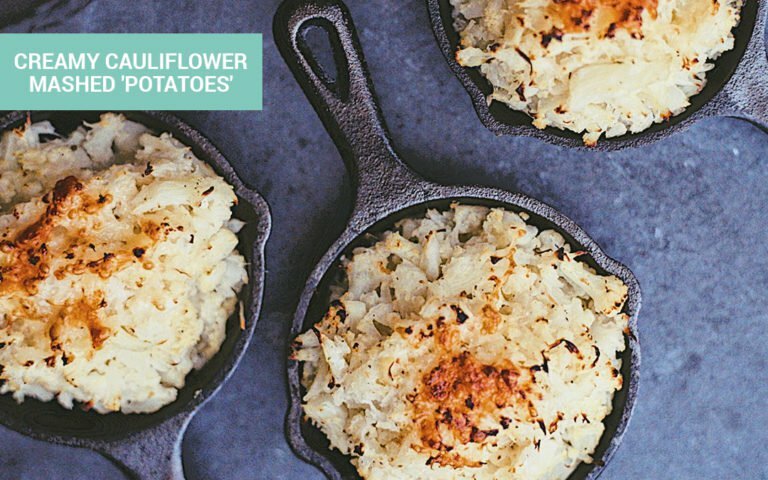 Subbing cauliflower for potatoes, you’ll then add cheddar cheese, bacon, sour cream, grass-fed butter, and mascarpone cheese to a casserole dish and bake for just 10 minutes. Each serving packs 20g of fat and 8g of protein for just 3g of net carbs. This next creamy casserole has even fewer net carbs and is just as mouthwatering. This simple, creamy zucchini casserole only requires a few basic ingredients (like zucchini, grass-fed butter, cream cheese, and parmesan cheese) to become a perfect companion for every other dish on your Thanksgiving table. And at just 2g of net carbs per serving it may also become your new favorite. You could also switch up the squash in this recipe from zucchini to spaghetti squash, or even yellow squash like in this next recipe. Sarah, the creator of this yellow squash casserole, says you can use this recipe as a low carb, keto friendly, gluten free side dish or as a stand-alone vegetarian main dish. Unlike the other casseroles, this one’s topped with low carb biscuits so it’s sort of like a yellow squash pot pie. It calls for both mozzarella and cheddar cheese, but Sarah also suggests subbing shredded gouda if you’re into it. For just 3g of net carbs per serving, this casserole is definitely worth trying. Craving more keto casseroles? Click here for 52 low carb casserole recipes perfect for your next potluck. Next up we have low carb side dishes, which some people like even more than turkey on Thanksgiving. 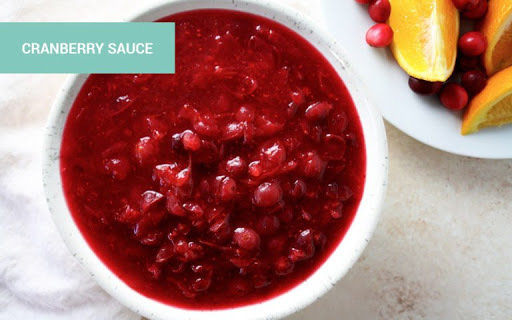 Yes, you’ll have to ditch that canned cranberry sauce log loaded with sugar, but making your own homemade sugar-free cranberry sauce is actually easier than you may think. First, you add fresh cranberries, filtered water, the zest of one orange, stevia, and vanilla extract to a pot on the stove. Bring the mix to a boil then reduce heat and simmer for 15 minutes while it thickens up. Keep your amazing cranberry sauce in the fridge for at least four hours and serve chilled. This next side dish is also served cold. If your oven, toaster oven, and slow cooker are all occupied on Thanksgiving, serve up this cold broccoli slaw full of veggies and crunchy nut clusters and you’ll be good to go in less than 30 minutes. This pretty slaw is made with red cabbage, broccoli florets, scallions, and leafy greens like spinach, kale, and lettuce and tossed with a homemade dressing recipe to match. To create the holiday-worthy nut clusters, combine pumpkin seeds, slivered almonds, sriracha, and low carb sweetener and bake in small piles until crunchy. This recipe feeds 10 as a side dish and only costs 4g of net carbs per serving. While this slaw may be out of the box, this next recipe is a ketofied twist on a classic holiday favorite. 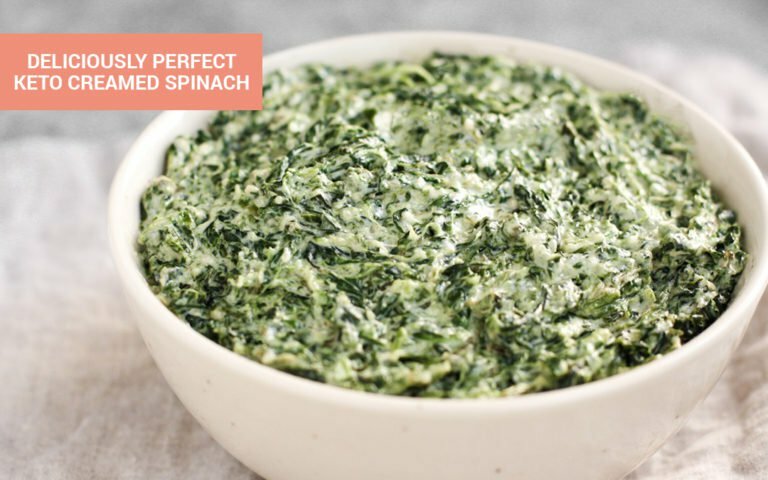 You’ll be amazed by how quickly everyone eats their veggies when this keto creamed spinach hits the table. Loaded with garlic, parmesan, heavy whipping cream, and cream cheese, this is one dish made better with extra fat. The same can be said about this next holiday classic post keto makeover. Cauliflower mash is the real hero when you want creamy mashed potatoes without all the carbs. In this recipe, you just need cauliflower, grass-fed butter, parmesan cheese, and almond milk or heavy cream to bring healthy, creamy “mashed potatoes” to your Thanksgiving dinner. Another way to appeal to all palates while still staying on the keto path is to combine low carb veggies with bacon. 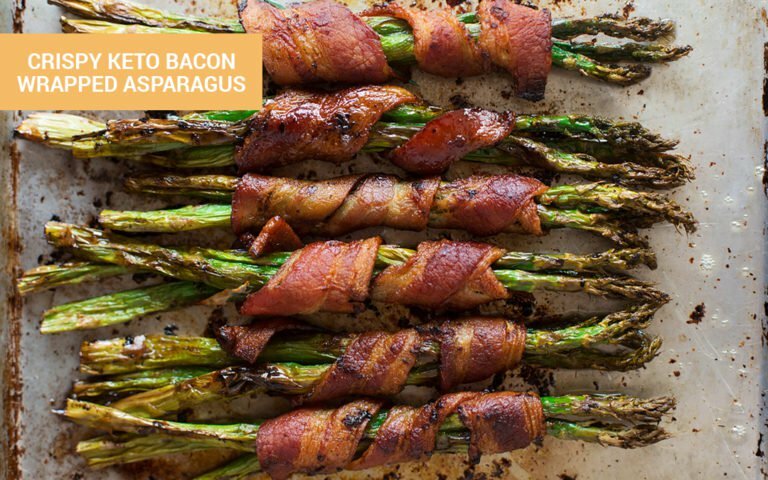 While this recipe calls for bundling stalks of asparagus together and wrapping them in bacon, you can easily swap out the asparagus for green beans. Either way you’ll have a low carb veggie side dish full of flavor and fat that’s also quick and easy to make. Your kids can even help out bundling and wrapping the veggies while you’re working on other dishes. This next bacon-rich recipe may be a bit unexpected but don’t be surprised if it’s requested for next Thanksgiving too. If you want a unique recipe to impress your Thanksgiving guests, this one for sauteed radishes with bacon and rosemary from Joshua over at Slim Palate delivers. Radishes are super low carb; a whole cup only has 2g of net carbs total. So when you saute radishes in bacon grease, they become crispy on the outside, tender on the inside, and smokey all over. All you have to do is cook your bacon, remove the meat but leave the grease, then toss your radishes right in the pan. Cook them up, add rosemary and garlic, and you’ll have a one-of-a-kind side sure to please. This next side dish also pairs a low carb veggie with bacon — and it’s even easier. 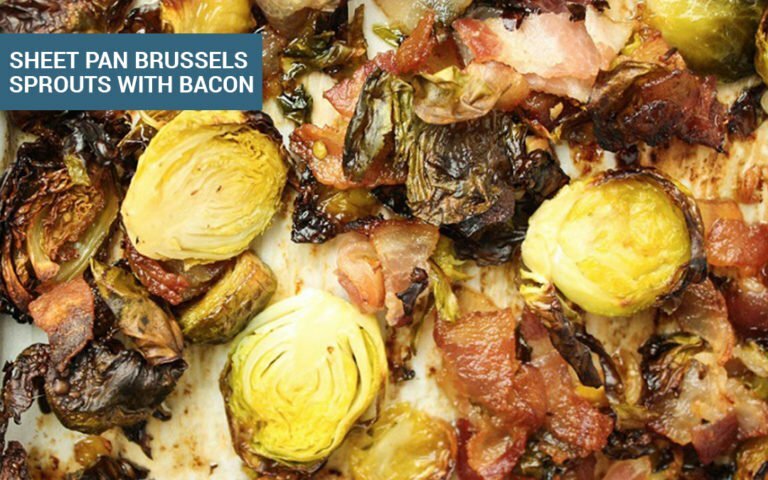 If you want a delicious low key keto side dish you don’t have to think about with all your hectic holiday plans, this practically two-ingredient sheet pan brussels sprouts with bacon dish is everything you need. Simply halve your brussels sprouts, chop your bacon into bite-sized bits, mix together with salt and pepper on a baking sheet, and toss in the oven for 35-40 minutes. That’s it. This final Thanksgiving side dish recipe may be one you and your kids are most looking forward to. If your Thanksgiving table isn’t complete without a bowl of creamy macaroni and cheese, you can keep your tradition strong without ruining your ketosis goals. Just substitute cauliflower for pasta and then make a cheese sauce to coat and bake it all together. The cheese sauce in this recipe needs heavy cream, sharp cheddar, fontina, cream cheese, and paprika. When this dish bakes in the oven, the top comes out golden brown and bubbly just like your favorite traditional mac and cheese recipes. Just don’t let this side dish upstage the main event up next. Roasting a turkey is probably the easiest part about going keto on Thanksgiving because there’s not much you’ll need to change from doing it your old way. You’ll want to switch to grass-fed butter to coat your turkey skin, skip your standard stuffing for a low carb one (see next section), and make your own gravy. To do that, collect the juices from the roasting pan your turkey is baking in. Then add them to a pan on the stove to reduce. Rather than using flour to thicken your gravy, try adding a scant amount of xanthan gum. Just don’t add too much or your gravy will gum up. This low carb roasted turkey and pan gravy recipe from Karen at Holistically Engineered doesn’t get any simpler. Plus, the whole turkey is just 5g of net carbs and the entire gravy recipe is 3g. All you need is lemon, garlic, celery, one carrot, half an onion, chicken broth, and a few seasonings to make this healthy classic. Now if you want to take your turkey next level, this garlic butter and herb recipe is the top floor. Maya at Wholesome Yum will not only help you calculate how much turkey to buy per guest, she’ll also help you figure out how long to cook your bird per pound too. In this recipe, she starts with a 10–12-hour brine (which is just a saltwater bath for your turkey). Then she combines sage, rosemary, thyme, minced garlic, lemon zest, sea salt, and black pepper with grass-fed butter to smear underneath and on top of the turkey skin. The end game is delicious and zero carbs per serving. While you may have a preference for white or dark meat, you should also consider eating turkey giblets since this wealth of incredible nutrients shouldn’t go to waste. What do you do with the giblets you remove from your turkey? Caveman Keto says you should turn them into gravy. Cook your giblets in a pan with turkey broth and veggies, then add heavy cream. Phase two of this recipe calls for blending the gravy with an immersion blender to make a smooth, velvety consistency without the need for flour. You’ll never even taste the healthy organ meat in this rich gravy, but if you’d rather cook those giblets for your dog or cat, you can always try cauliflower gravy instead. 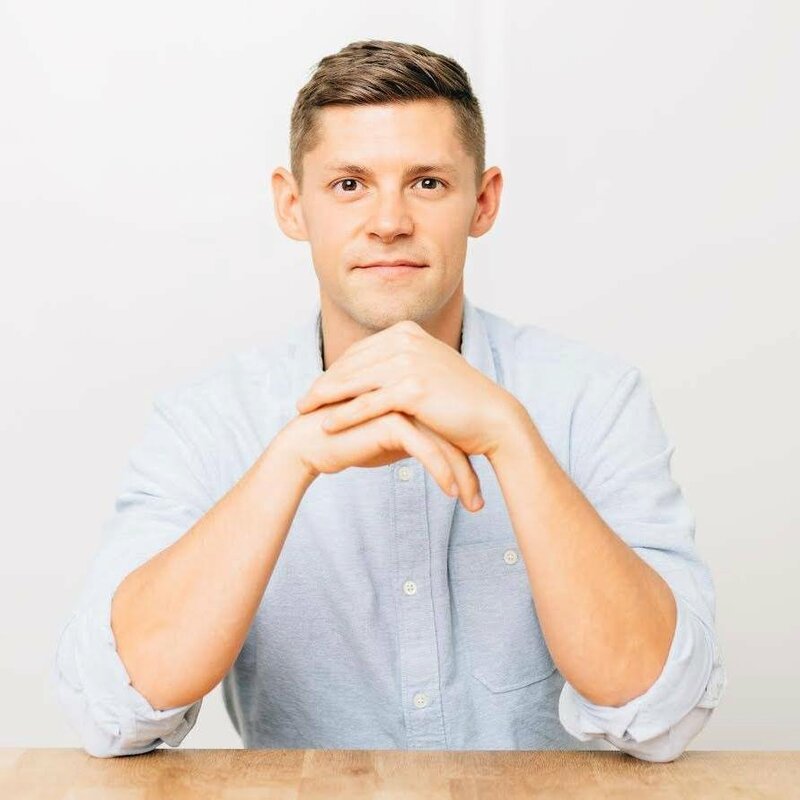 This gravy comes together with cauliflower, bone broth, garlic, and salt courtesy of Dr. Sarah Ballantyne at The Paleo Mom. Just cook this mix, add to a blender, and you’ll have creamy keto gravy to smother on everything. While turkey and gravy may seem easy to turn keto, stuffing may present more of a challenge. 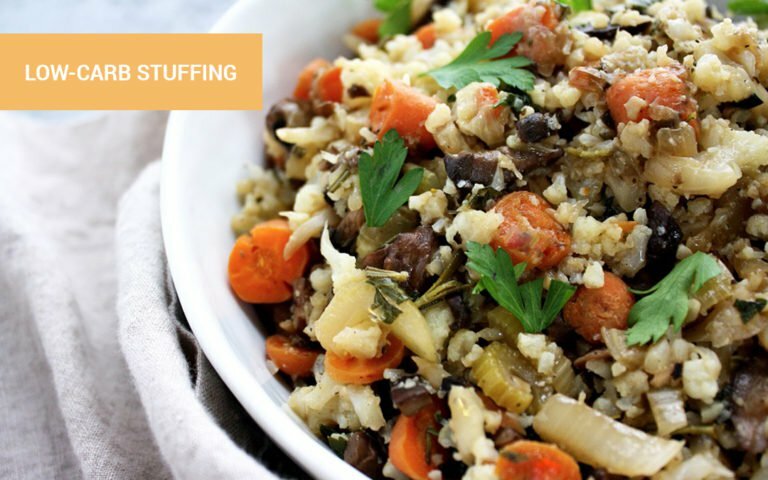 You won’t ever miss the stale bread in stuffing when you swap it out for nutrient-dense veggies in this keto stuffing recipe. Onions, carrots, celery, cauliflower, and mushrooms are flavored with garlic, sage, parsley, and rosemary and cooked in bone broth or chicken stock. It’s warm and satiating without making you too full for dessert. This other stuffing recipe combines holiday flavors like cranberry and pecan and still keeps it low carb. To keep the cranberries keto friendly in this recipe, Kyndra at Peace, Love, and Low Carb includes a recipe for low carb sugar free dried cranberries so you can make a big batch and add them to your stuffing, salads, or keto cookies. This stuffing recipe has a base of riced cauliflower with additions like toasted pecans, shallot, thyme, bay leaf, parsley, and parmesan cheese, along with those sugar free dried cranberries. You’ll want to make this stuffing year-round with macros like these: 10g of fat; 4.4g of protein; 3.2g of net carbs. But if you’re looking for something sweeter than cranberries to close out your epic keto Thanksgiving meal, you’re ready for dessert. Since you’ll typically find a sweet pumpkin pie at the end of every Thanksgiving meal, this dessert section is full of pumpkin recipes to help you stay in ketosis. First, you’ll make a keto pie crust using almond flour, monk fruit, egg, butter, and MCT oil powder in vanilla that will be healthier than any pie crust you’ve ever had. For the filling, you’ll use vanilla MCT oil powder again along with pumpkin puree, egg yolks, coconut cream, monk fruit, vanilla, cinnamon, and pumpkin pie spice. 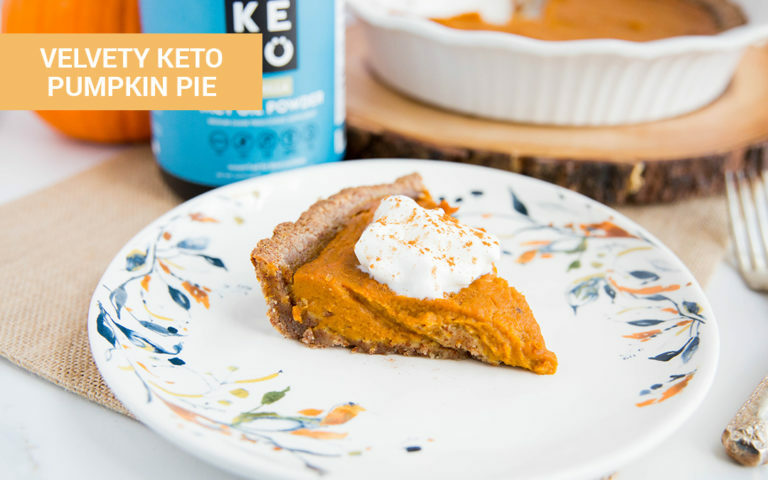 After this keto pumpkin pie bakes, top it with thick and rich keto whipped cream for the ultimate Thanksgiving treat. You and your guests will never know each slice is less than 4g of net carbs per serving. You may also want to have a few special roasted almonds around for after-dinner sweet cravings. Almonds are one of the healthiest keto nuts because they contain fiber and protein, despite being just a few more carbs than other allstars like macadamias and pecans. This recipe from Try Keto with Me takes raw, unsalted almonds and transforms them into sweet and spicy specialty nuts your guests will devour by the handful. To make these, combine almonds with vanilla extract, keto friendly sweetener like monk fruit, and chai spice. Then whisk together egg whites until they’re frothy, add the almonds, and evenly coat. Bake these off and you’ll have the best low carb candied almonds in less than 30 minutes. Almonds are healthy but this next recipe hides both MCT oil and exogenous ketones so it’s even better for reaching or staying in ketosis during the holidays. This may be the most helpful pumpkin mousse you’ll ever give your body. That’s because the MCT oil powder in this fluffy, decadent recipe delivers a huge energy boost for your brain and body to help you stay awake after all your hard work prepping and cooking a huge Thanksgiving feast. This recipe also calls for whipped cream made with salted caramel-flavored exogenous ketones. 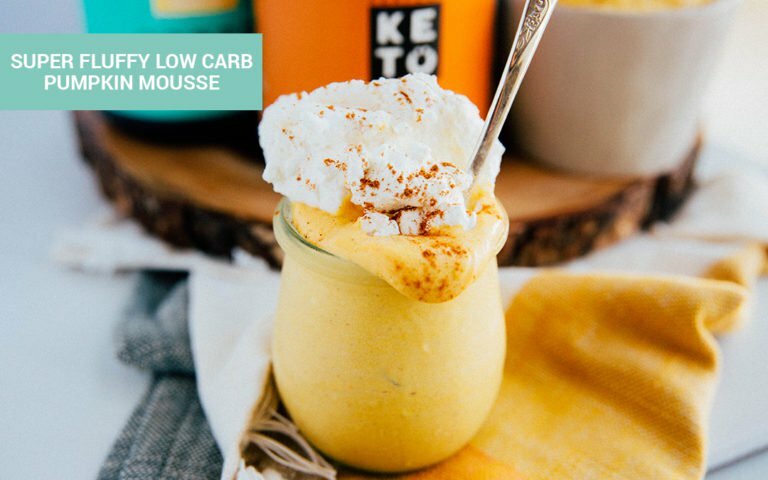 Besides adding a warm, rich holiday twist to standard whipped cream, the exogenous ketones will help you stay in ketosis and even help you recover faster if you’ve overeaten carbs. Pumpkin mousse may be a different take on pumpkin pie, just like this next recipe updates pecan pie for keto chocolate lovers. Pecan pie may be a runner up in popularity to pumpkin pies during Thanksgiving, but that may not be the case when you try this recipe from Leanne at Healthful Pursuit. Her keto chocolate pecan pie is free of sugar and syrups, which typically make up half the ingredients in a traditional pecan pie recipe. It’s also grain-free, dairy-free, and manages to also hide shredded zucchini. While this recipe has steps for making a keto crust and decadent filling, this next dessert is crustless and less work. 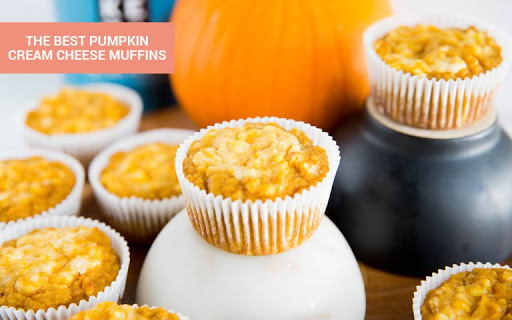 These pumpkin cream cheese muffins aren’t just easy to make, they’re easy to transport and feed a crowd since they’re already pre-portioned. The best part is you probably have all the ingredients on hand so you can make them the morning after Thanksgiving for brunch before you go out shopping. This next recipe makes a great presentation, especially if you’re bringing dessert over as a guest. If you don’t have time to make a bunch of muffins, this moist low carb pumpkin loaf is as low maintenance as it gets. While the almond flour and coconut flour will give this loaf substance, the cream cheese, butter, and pumpkin will keep it rich and decadent. And that’s all before you add the cinnamon and vanilla-flavored cream cheese frosting on top. You can also fill your dessert table with poppable pumpkin spice fat bombs — or take them on the road if you’re hopping between parties. If you wanted to cross pumpkin pie with pecan pie, you’d probably wind up with this fat bomb. These portable pumpkin and pecan fat bombs combine coconut oil, cream cheese, pecans, pumpkin puree, sweetener, cinnamon, and pumpkin pie spice for 24 servings of Thanksgiving dessert greatness. Each fat bomb is less than one net carb and contains 8g of healthy fats. This next recipe also takes advantage of using super low carb pecans for dessert. These keto pecan pie clusters from Hey Keto Mama are like a deconstructed pecan pie you don’t have to sit down for. All it takes is pecans, sugar free chocolate, butter, heavy cream, vanilla, and your sweetener of choice to whip up these candy-shop worthy nut clusters. Since they’re only 1g of carbs per serving, you might want to double the recipe. You’ll also want to make extra of this next recipe — especially if you want leftovers after your party because one batch won’t last. Sarah at Real Balanced combined the best parts of pumpkin pie and cheesecake to create these fall pumpkin cheesecake bars. At just 2.7g of net carbs per serving, these sugar-free and nut-free treats will go fast. This final dessert veers off pumpkin-flavored everything but no one will mind. 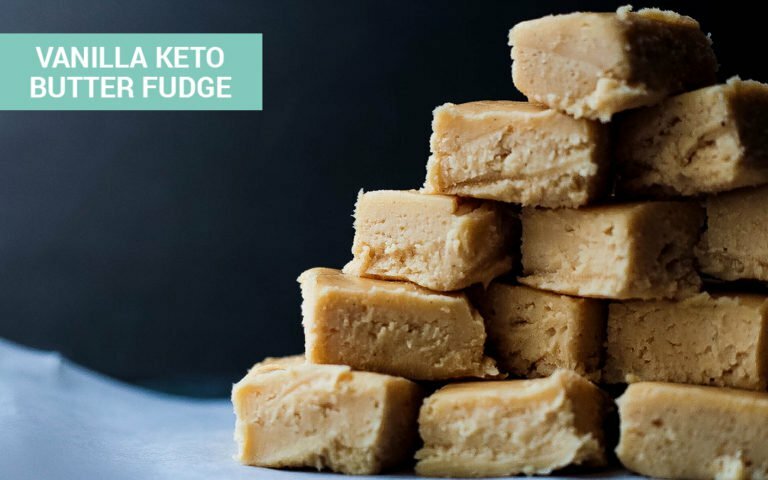 Fudge may not be your first thought when it comes to Thanksgiving desserts, but this basic recipe for keto butter fudge can be doctored up to fit any holiday so it’s a keto recipe to always have handy. This one makes 36 pieces of craveworthy vanilla fudge and only requires cream cheese, butter, vanilla protein powder, and nut butter. You can then add cinnamon, pumpkin pie spice, or a blend of chai spices to bring in that November warmth of the fall season. These next three speciality drinks also achieve that goal. 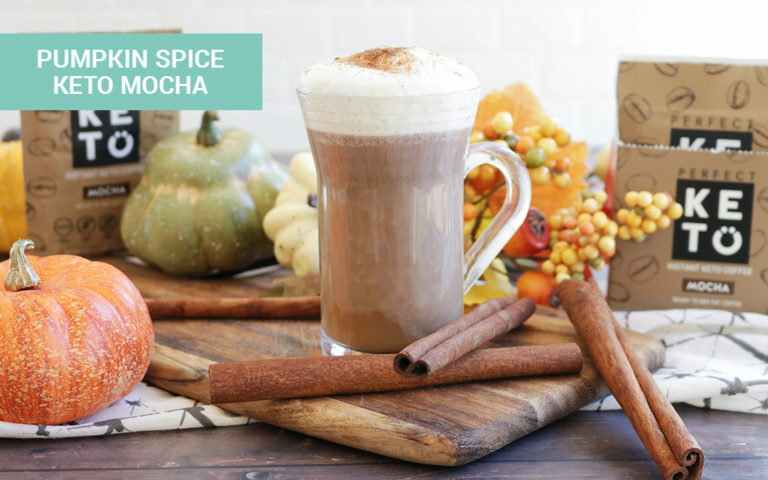 Vanessa over at Healthy Living How To created a drink to rival any coffeeshop version of a pumpkin spice latte. To a blender, add hot coffee, pumpkin puree, grass-fed butter, vanilla stevia, and pumpkin pie spice. Blend until it’s just as frothy as an expensive latte and you’ll never buy one of those sugar-packed PSLs again. This next recipe also slashes the sugar found in mocha coffee drinks — and adds a fall twist with pumpkin. This coffee recipe is even easier than the previous one because you don’t have to brew coffee beforehand. Using a packet of Perfect Keto ‘Mocha’ Instant Keto Coffee, just add hot water, pumpkin spice, cocoa powder, and heavy cream to a blender and whirr until frothy. For one net carb you’ll have 20g of healthy fats in this delicious keto beverage. The final recipe in this roundup transforms sugary eggnog into a healthified holiday treat. Amanda at Wicked Stuffed says this zero carb almond milk eggnog recipe will forever be on your list of go-to holiday drinks from Halloween to Christmas. The rich and creamy texture is similar to the thick, custard-like feel of traditional eggnog, but has none of the sugar. Just combine eggs, almond milk, keto friendly sweetener, vanilla bean seeds, cinnamon, and nutmeg in a blender. Transfer this mixture to a small saucepan and heat until it starts to get thick, about 15 minutes. Cool this mix in the fridge and fold in whipped cream right before you’re ready to serve. Now you officially have everything you need to make the best keto Thanksgiving ever. With almost 50 keto Thanksgiving recipes in this roundup, it’s time to pick out the recipes you know your family and guests are going to love and create your game plan for Turkey day. Read every recipe from start to finish so you can formulate a plan to prep, cook, and time everything perfectly. Even though these keto Thanksgiving recipes are low carb, you’ll still need to watch your portions if you want to stay under your carb macro and in ketosis. Don’t beat yourself up if you indulge a little more than usual; it’s a holiday about sharing food with those you’re thankful for and you can always get back on your keto diet Friday. This may also be the perfect time to try using exogenous ketones if you haven’t already; they’ll help your body move back towards ketosis if holiday carbs try to slow you down.